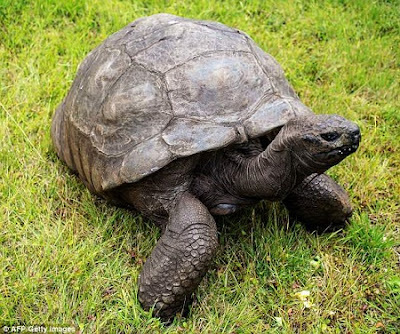 Jonathan the giant tortoise is the world's oldest living terrestrial animal, according to a report by Dailymail. But, there is bad news for the tortoise at the age of 186 - and now blind. The famous resident of St Helena won't be having surgery to remove cataracts, as vets have decided it's too risky. 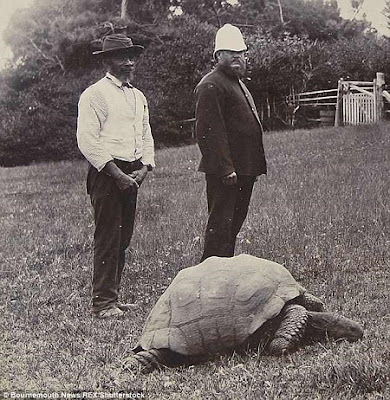 Jonathan, who has also lost his sense of smell, was approximately 50 years old when he arrived on the small island in the south Atlantic from the Seychelles in 1882. Lord Ahmad of Wimbledon said earlier this week: 'St Helena's most famous resident, Jonathan the tortoise, is looked after by the island vet who ensures a high-standard of care to the world's oldest terrestrial animal. The Conservative peer added that Jonathan continues to lead an active life. The reptile can still be found happily plodding around the grounds of Plantation House, the home of the governor of St Helena.